The Flakaliden experiment in the vicinity of Svartberget was set up in 1986 in a young Norway spruce stand which was planted in 1963 after felling, prescribed burning, and soil preparation. The long-term experiments show that it is possible to increase growth of Norway spruce by more than double. 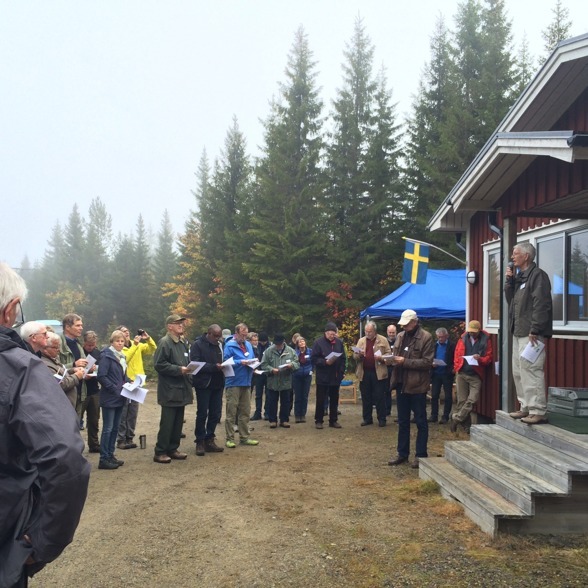 Thus, it is not the harsh climate or the slow growing tree species that limit the growth in Swedish forests. Rather, it is the availability of nutrients — in Northern Sweden, mainly nitrogen — that is limiting growth. 2016 fills the experiment 30 years and it has been celebrated in late September. Pioneers and researchers who have worked and been interested in the results has been on the spot in Flakaliden again. 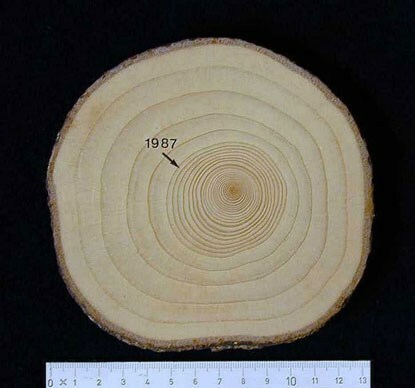 Tree rings before and after nutirent addition. Photo from SLU Web. Research at Flakaliden has made enormous contributions to our understanding of the role of nutrient supply in boreal forest growth and ecosystem function, in addition to clearly identifying the critical importance of nutrient availability in the response of forest growth to increased air temperature and elevated CO2 concentrations.